While doing IT well is an essential part of being one of the top IT companies in any area, just being good at IT cannot make a provider the best Dallas IT company. The top IT companies in Dallas all offer excellent IT support, cybersecurity, data backup, disaster recovery, business continuity, and can help their clients increase their productivity through technology and innovation. What separates these top companies is the other benefits they offer to their customers and communities. Businesses in Dallas are looking for IT providers that really care about their city, and the wider world. GXA is committed to giving back to local and international communities, which is why some businesses regard GXA as the best Dallas IT company. The following are a couple of projects that GXA has been involved with. In 2016, GXA set a goal: to rescue 10 children from the harsh streets of Nairobi. Through continued efforts, GXA succeeded in reintegrating kids back into their families, or placing them into children’s homes. The ages of the children ranged from 5 to 15. Since 2017, GXA has continued to help children in Nairobi. GXA has been paying for their school tuition, with this funding continuing until the kids graduate from college. GXA also provides homes and food for the kids, allowing them to stay safe and healthy while they work on getting an education to support their future. 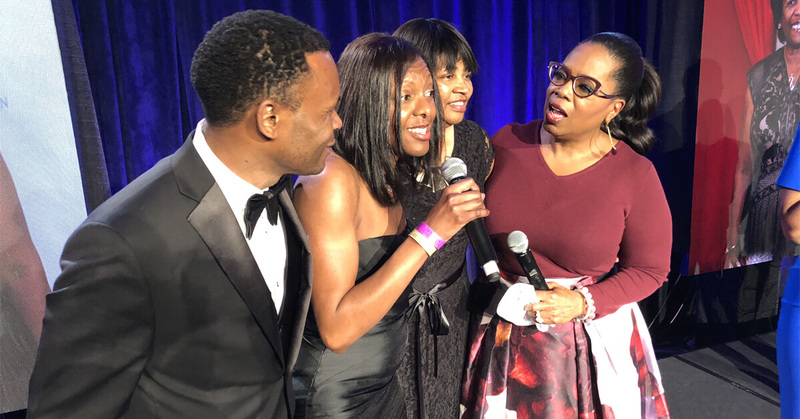 GXA received a very special award at Minnie’s Gala 2018 featuring superstar Oprah Winfrey, who gave the keynote address. The award recognized GXA’s support for Minnie’s Pantry, a local community organization that provides healthy meals and resources to those in need. Since 2008, Minnie’s Food Pantry has distributed more than six million meals. GXA’s support allowed 75,000 of those meals to be given to needy people in the local community. During Volunteer Day at Minnie’s Pantry, the GXA team joined forces with the core team at Minnie’s to help serve food to families and individuals in need. While providing IT support is the main skill that our team members have, they are also keen to help out the local community in any way they can. GXA believes in giving back to the local and global community, both through philanthropic giving and by providing IT support that goes the extra mile. Good IT support makes it possible for local businesses to be productive and stay safe from cyber-attacks. GXA helps businesses in the Dallas area to meet all their IT needs, which means they can focus on their core business operations. These businesses are then able to provide products, services and jobs to the local community, helping everyone to thrive. When choosing which Dallas IT company to use, businesses of course want excellent IT support and top-notch cybersecurity services. However, when it comes to choosing between the top IT companies in the Dallas area, it is important to look further than simply the services each company offers. Support the local community by selecting a Dallas IT company that works to make the world a safer, kinder and better place to live.